The cedar cedar ceiling is a diamond-shaped ceiling material in recent years. Its color is soft and the text is natural, which is liked by everyone. When choosing furniture, the ceiling of the fir gusset can be well matched with the furniture, making the overall look very harmonious. Construction Note: It is best to apply a layer of varnish on the fir gusset to enhance its waterproof and anti-corrosion function. The PVC gusset ceiling is made of polyvinyl chloride as a raw material, assembled into a frame by extrusion molding and then made of glass. 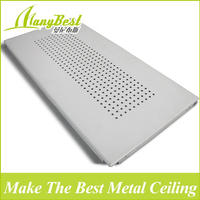 It is suitable for ceiling decoration of bathrooms and kitchens that do not have too high requirements for fire protection. 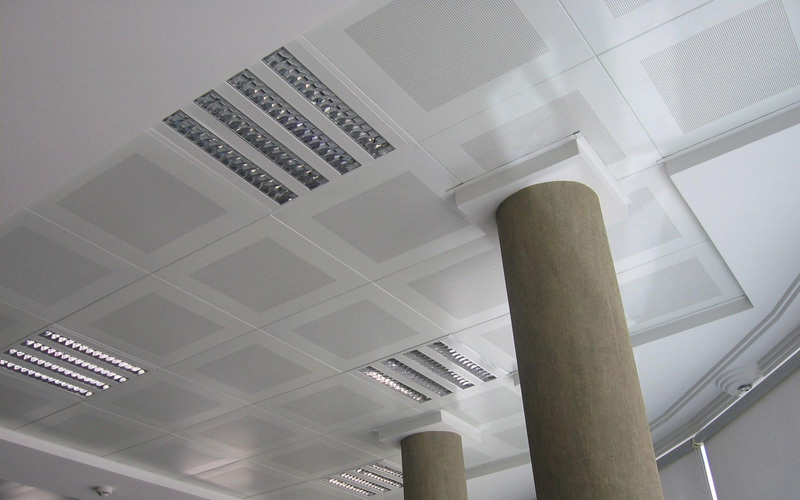 The PVC gusset ceiling has the advantages of moisture proof, heat insulation, easy installation and cleaning, and low price. During construction, the plastic gusset ceiling consists of a 40mm×40mm square board, and a plastic gusset is placed under the skeleton. 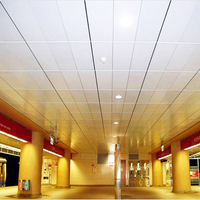 Waterproof gypsum board is a light-weight decoration board that adds a certain amount of water-repellent agent to the gypsum core material and waterproofs both the core and the facing paper to achieve a certain waterproof standard. The surface water absorption of the waterproof gypsum board is ≤160g/m2, and the water absorption rate is about 5%. This kind of board can generally be used for space decoration with large space and high humidity. 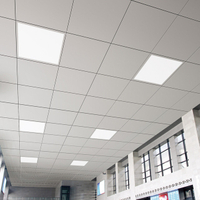 The waterproof gypsum board has the advantages of sound insulation, heat insulation, heat preservation, fire prevention, convenient installation, good construction and low price. Light steel skeleton is generally used during installation and construction. Pay attention to rust prevention during construction and anti-rust paint for lifting ribs. 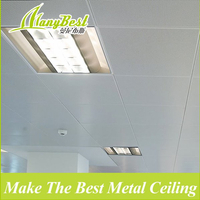 The reason why glass ceilings have been highly praised in the near future is that their light transmission is very good, which can increase the sense of space in all areas, and this decoration method is very natural, and it works better with lighting. Especially suitable for small units and small spaces. Construction Note: The requirements for the process of glass ceilings are very high, so it is necessary to choose a professional construction team to ensure quality. 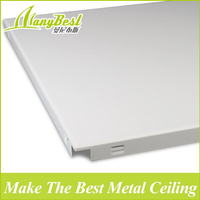 Aluminum clip in ceiling is a new type of ceiling material. It has the advantages of fireproof, moisture proof, anti-corrosion, anti-static, sound-absorbing and sound-proof. Its common shapes are long and square, and the surface has two kinds of plane and punching. 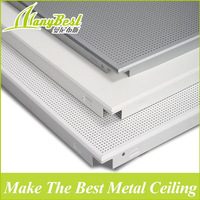 The difference between the two is mainly Hardness, microporous aluminum plate is also called dark bone square gusset ceiling system. Its flat surface, fine seam and simple and elegant design. 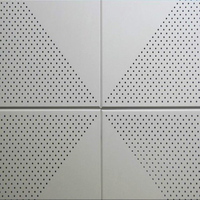 The standard specifications of microporous aluminum plate are 350x350mm, 600x600mm and 600x1200mm. The aluminum buckle plate is mainly tested for the gloss thickness of the paint film. 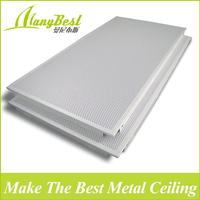 The aluminum alloy ceiling is made of magnesium, manganese and other metals in the production process of the aluminum buckle plate, so that the buckle plate is light and more elastic. 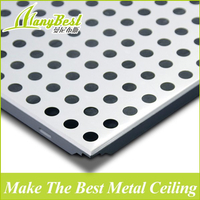 Compared with traditional ceiling materials, aluminum alloy gussets are superior in texture and decorative feel. It not only has the advantages of moisture, fire, sound absorption and sound insulation, but also has antistatic and dustproof effects. 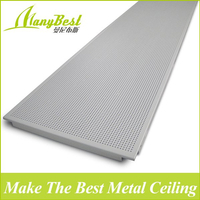 The price of aluminum alloy ceilings is relatively high, and most of them are mainly used for commercial purposes. In recent years, there has been a trend toward the domestic market.